9/11 is perhaps the best example of this, as nearly 15 years afterwards, an incredible amount of information and research has become available the public, at least enough to unseat the official version of events and inspire a deeper investigation, yet contrary reporting is still not taken seriously at all by mainline media outlets. Sometimes the media gets caught fabricating events and twisting reality. 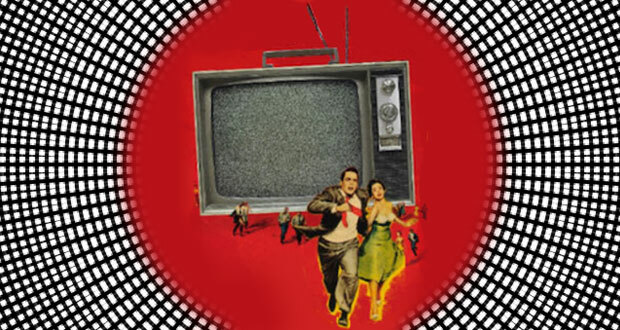 Here’s a disturbing look at some of the more recent examples of mainstream media news deceptions, staged events and psy-ops that have been exposed by the international independent press. Example #1 – BBC stages a chemical weapons attack in Syria to justify NATO invasion. 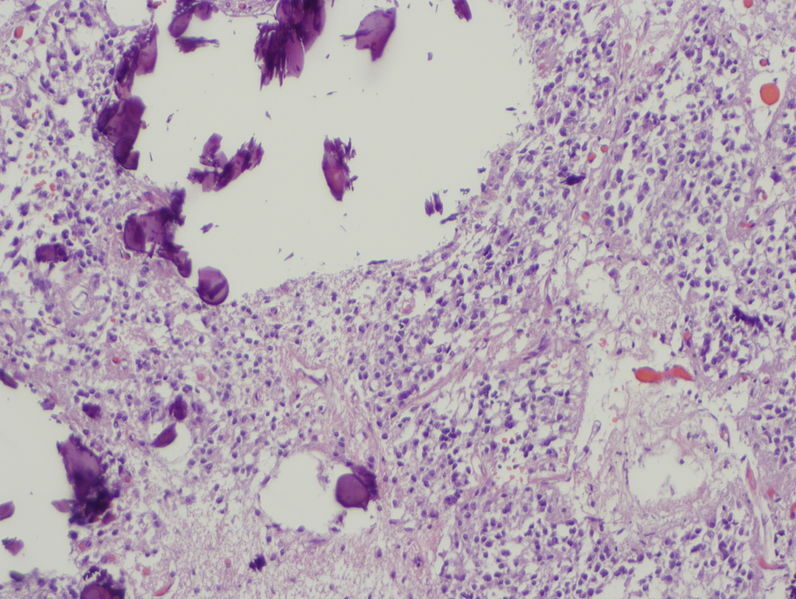 With BBC reporterIan Pannell standing amidst a host of crisis victims while on the scene at a small rural hospital in Syria, a supposed incendiary bomb or napalm attack happened, and as they were filming and a stream of wounded patients began pouring in. A doctor was interviewed on the scene, remarking that a napalm attack had occurred. One month later as the NATO pressed for military intervention in Syria, the exact same footage was used in a new video report, however, the audio of a crisis doctors statement had been digitally altered. The word ‘napalm,’ had been changed to ‘chemical weapons,’ an obvious deception. 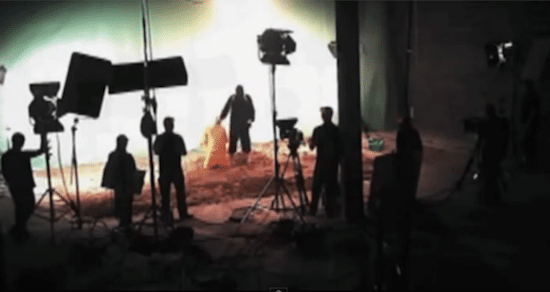 Example #2 – Staged ISIS execution videos and terror stooges. 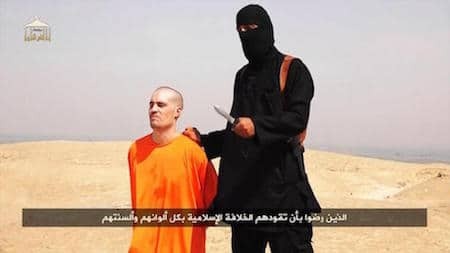 In 2014, as the Western supplied mercenary army ISIS was rising to its prominence as the CIA’s most evil proxy army to date, a series of frightening videos emerged of ISIS executioners with heavy British accents sawing the heads off of Western hostages, including freelance journalist James Foley. Still shot from the James Foley video. Still shot from the video allegedly showing the fabrication of the James Foley execution. Graphic videos of the slayings were posted online and shortly afterward, another video emerged online purportedly showing the movie set where the Foley beheading was fabricated. 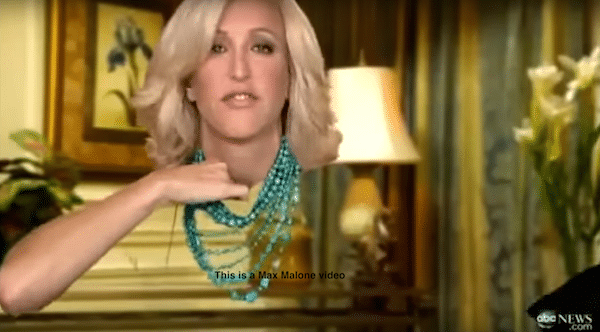 The authenticity of this video is also unverifiable, however, even technical elements in the original video suggest manipulation, and some experts agree that the Foley video is staged. The executioner was later identified by intelligence agencies as 23 year-old British rapper Abdel-Majed Abdel Bary, and like Osama bin Laden, he became a resuable icon in the propaganda campaign in the war on terror. 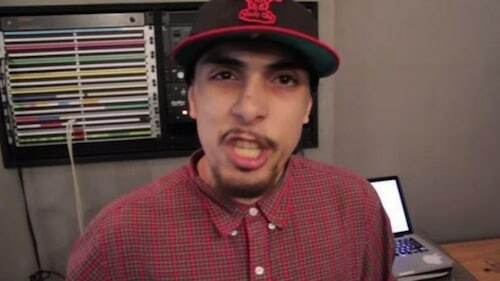 For his media appearances he was given a catchy name, ‘Jihadi John.’ When Jihadi John’s mileage ran out, he was literally ‘evaporated’ by a night time drone strike in Raqqa, Syria. His death, like Bin Laden’s, was celebrated by many. Another brick in the wall. 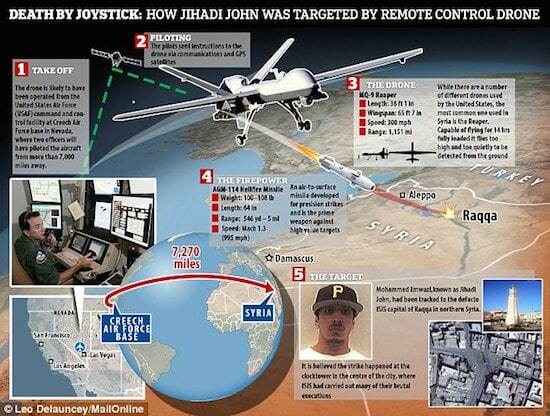 ‘Jihadi John’ before being ‘evaporated’ by a drone strike. Marketing materials for the public celebration of the drone striking of Jihadi John. Image source – Mail Online. 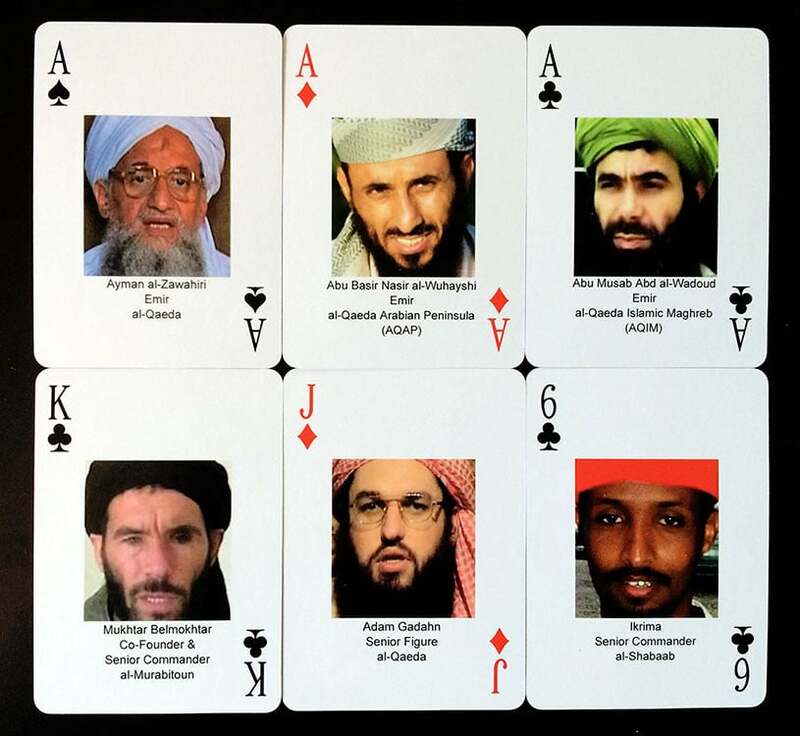 If you recall, in the early days of the war on terror, the faces Al Qaeda’s top lieutenants were plastered on decks of playing cards, serving the same purpose as Jihadi John; terror stooges assassinated as needed to maintain public interest in the war on terror. Example #3 – Scripted, staged and phony local news broadcasts. In the following clip which contains numerous examples, CNN and other major news outlets are caught again and again fabricating news reporting with chroma key green screens in network studios, posing as thought they were engaging in front line war reporting. The use of chroma key is ubiquitous in the mainstream media, and with it they can effectively pull off just about any visual deception. In this photo, an ABC news anchors makes the blunder of wearing a green shirt to the taping of an important news segment about Kim Kardashian’s wedding. Let’s also not forget what Hollywood is capable of these days. 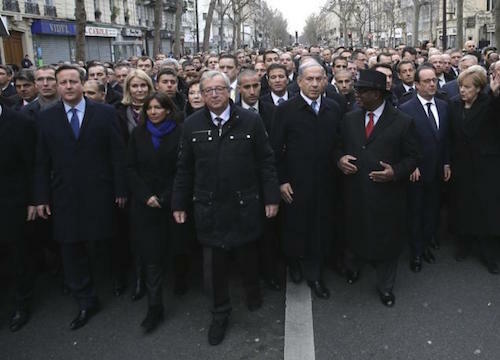 Example #4 – Staged photo-op of political leaders after the Charlie Hebdo massacre on January 7th, 2015. Politicians and public leaders depend on professional public relations managers to ensure their likeability. In 2015, after the attack on Charlie Hebdo magazine in Paris, France, leaders from over 40 nations gathered side-by-side with the French president in a much hyped public display of solidarity against terrorism. They were shown leading an excited crowd with determined sincerity on their faces, yet when originally unpublished photos of the event were revealed, it was discovered that it was a staged photo-op, not an actual genuine action by these fearless leaders. The wide angle shot shows them standing alone in a blocked off, heavily guarded side street. World leaders supposedly leading an excited crowd in the January 11th, 2015 rallies in Paris, France. Wide angle photos of the staged event show the true story. Bonus – Phony, scripted and ridiculous local news broadcasting. If you’re getting your news from mainstream programming, you know that it’s fake. Because 90% of media in the US is owned by a mere 6 corporations, even the local news programming is pre-packaged and delivered from corporate HQ as either completed news reels or scripts to be read on camera by your favorite, loveable local news anchor. All of this is, of course, nothing new. Almost everything in our world seems to be fake these days. Remember former Secretary of State Colin Powell’s speech at the UN justifying the 2003 invasion of Iraq? 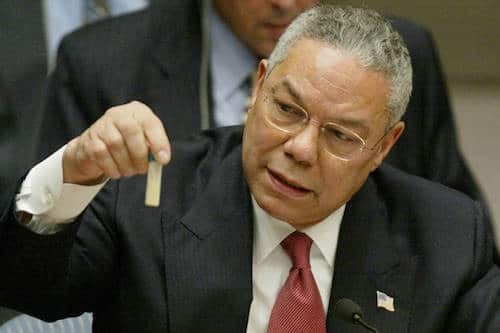 In order to justify the second war on Iraq, Colin Powell showed up at the UN with enough supposed anthrax to kill everyone in the building. There are other examples as well, including the use of crisis actors which are people who appear in press interviews and on the scenes in multiple public events. The amount of resources that go into creating false realities for the masses is an absurd mis-allocation of human effort, and an embarrassing assault on human intelligence. Since the mainstream media is working in concert with the military industrial complex and corrupt governments to push the world over the brink and into all out war, it’s up to individuals and independent researchers to counter the propaganda and free the minds of those who are ready to wake up. Sources are embedded throughout article. This article (4 Examples of Mainstream Media Fabricating News to Push for War) was originally created and published by Waking Times and is published here under a Creative Commons license with attribution to Dylan Charles and WakingTimes.com. It may be re-posted freely with proper attribution, author bio, and this copyright statement. They shut down the music industry in 1996 allowing for clear channel to own all the radio stations. Ever since then mainstream music has gotten worse and worse, today christian music actually sounds better than what they play on mainstream radio. The kids today listen to the music of their parents and elders and grow tired searching for anything online. Only drugged and moronic children in disfunctional households think otherwise. Hi Dylan. I like the way you have compiled this. This is blatant and super important. It’s nice to see that mainstream news viewing is decreasing, but the hold seems strong as ever when you talk to people. Thanks for your work. It’s sad to see how prolific propaganda has become in society, there really is a sense of social engineering at a giant scale going on. There were some things in the article I hadn’t really considered before, like green-screening news footage, it just seems too egregious for it to be tried. The point at the end about consumerism I think was poignant for many reasons. Sometimes I think the constant blitz of advertising is the propaganda we’ve been exposed for so long that we no longer even notice it. From this came the idea of society being made of consumers and eventually the “American Dream”, a brave new world where no change was necessary. 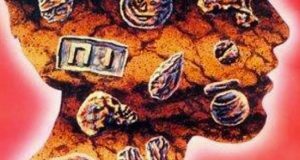 Marketing started to change tone, linking values and the achievement of desire with material goods, rather than the classical notion of emphasising the quality of the product. There’s been lots of propaganda throughout history that’s increased violence and destruction as well, like Nayirah’s testimony before the first Gulf War for example, the many cases of insisting nuclear energy is safe and “progressive”, or the constant demonisation of ‘the other tribe’. Something I notice is how dependent propaganda is on manipulating emotions, and how self-awareness and inner change are vital if we’re going to have any personal freedom from propaganda. I think many of the people involved in spreading these agendas throughout history must have been under the influence of their own states of greed or a thirst for appearing ‘powerful’. That begs the question though, who’s pulling their strings? Re. your last paragraph: Or possibly under the influence of what can only be called some kind of satanic or lower frequency ‘consciousness’? A nice summary of what’s going on in the mainstream media today… As I have found recently, this is not just going on in the news area, but also with documentaries, where fake episodes are produced without the slightest feeling of shame, covering the intriguing topics that are bound to attract a lot of viewers. A formerly respectable documentary channel Discovery seems to be leading this trend, fooling unsuspecting audience. 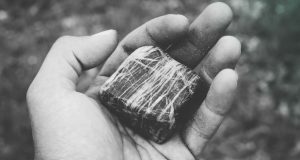 A new type of “actor” has also appeared – one that does not mind to be associated with trickery and lie, normally continuing with their every-day activities and business, completely oblivious to the disgust (and often hatred) they have created among many people towards their persona. The thing that occurred to me (and judging from the responses of some Youtube viewers also to others) is that by producing all these fake news, docs and interviews, they cause a growing scepticism among the viewers regarding what’s true and what’s not, create a disregard for mysterious and discourage people from believing and searching for things outside established truths. 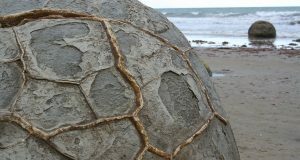 Fake videos on extraterrestrials, crop circles, mysterious creatures living under the sea, hollow Earth, etc… make it hard to distinguish the snippets of truth from the overwhelming lies, and so most people are turned away from these topics in order to avoid being fooled by somebody, which I guess is the goal of these dark forces. Also seeing how hard it is to find reliable sources of information today, just wanted to thank the team here at Conscious Reporter for unceasingly bringing light to some controversial issues with well researched and meaningful articles. I’ve noticed that that too with the creatures under the sea on Youtube. It’s an important topic that one. Great article Dylan, thanks for sharing. Imagine how many lies aren’t picked up on?